Roof maintenance can throw up some weird and wonderful jobs from time to time, but no matter what your roofing issue is, thanks to our 26 years experience in the industry, you can be rest assured that we have the right solution for your problem. 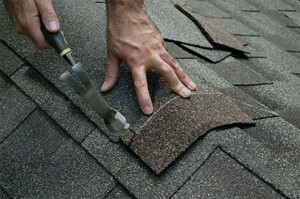 One of the hallmarks of roof damage is that it usually happens at the worst possible time. There won’t be any conditions to our service as no matter what time we come out to you, there will not be an additional charge and we pride ourselves on not adding any hidden costs to customers bills. The team at Macclesfield Roofing can fix all of the modern types of roofs including slate, lead, tiled, flat roofs, torch on felt roofing and fascias and soffits. Macclesfield Roofing can respond to routine and emergency roof repairs in Macclesfield and the surrounding areas. When you contact us, we will let you know when we will reach you and how long the work will take as we will constantly manage your expectations. Another area we focus on is the cost of our work as our prices are as competitive as possible. There are definitely no hidden fees in our quotes. It goes without saying that winter is the busiest period for roofers in Britain and our team are fully prepared for lots of work during the winter months. If your roof gets damaged during the heavy rain, storms or high winds, then call Macclesfield Roofing straight away. For more information about Macclesfield Roofing, call us today 01625 427 581.